Yellow Leaf Hammock has developed a job training program for mothers in the Mlabri tribe in Thailand, to create sustainable jobs for women who would otherwise live in poverty. Yellow Leaf Hammock sells hand woven hammocks that are custom-designed and produced by women in the Mlabri tribe. Money generated from selling the hammocks goes back into into a community job training program, which seeks to offer a path to the middle class for participants who had been caught in debt slavery and extreme poverty. Yellow Leaf Hammock’s focus is on ethical job creation to set up the foundation for a lasting, sustainable source of income for their artisans. All artisans working with Yellow Leaf Hammock are paid a fair, livable wage. Buying the hammocks is not charity. Artisan activity is the second largest income generator in the developing world, and craftsmanship is creating opportunities for women around the world to sustain themselves by creating high-quality products. Yellow Leaf Hammock’s work is providing a stable income for women, greatly improving their quality of life and providing a large economic boost. 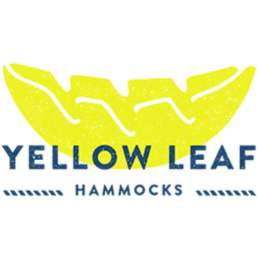 Yellow Leaf Hammock is a certified B Corp, meaning they meet a rigorous standard for transparency and providing a social good, and their board of directors expects to see reporting on social good provided by the company in addition to profits. The program began in 2011, and has grown to three weaving communities. Yellow Leaf Hammock is looking to expand to offer services and jobs for more women in Thailand. Out of the entire Mlabri tribe, 50% are denied citizenship rights in Thailand, greatly restricting their opportunities, and subjecting many to exploitation through human trafficking rings or indentured servitude in the agricultural sector. Yellow Leaf Hammock provides a path to gain fair employment, while preserving cultural practices. More than one billion people around the world live on less than $2 a day. Yellow Leaf Hammock provides a market and a living wage for the artisans and communities they work with. Women in the developing world are less likely to find employment than male counterparts, and make up a disproportionate amount of informal and vulnerable workers. Yellow Leaf Hammock provides resources and customers allowing women to support themselves. Yellow Leaf Hammock’s fights for civil rights laws aiming to reduce human trafficking and indentured servitude of indigenous communities in Thailand, ensuring that more women will have access to safe employment. Yellow Leaf Hammock sells products and supports sustainable job creation for women in Thailand.